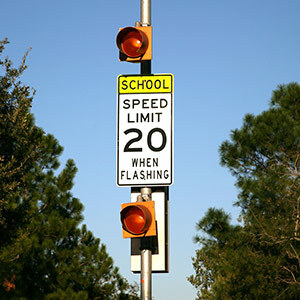 Fort Bend, Texas, has installed and deployed 140 new school beacons that use the Glance School Zone Flashing Beacon system on its streets. The cloud- and web-based system provides a cellular modem in each beacon that allows personnel to monitor and update the entire system remotely, making it the most advanced system of its kind. A suburb of Houston, the Fort Bend Independent School District is the seventh-largest school district in Texas with 75 schools and approximately 74,500 students. Developed by Applied Information and powered by the AT&T mobile network’s Internet of Things (IoT) platform, the system provides instant alerts in the event of a lamp or battery failure as well as remote adjustments of the beacons for weather events, school timing changes, holidays and emergencies. As part of the upgrade process, Fort Bend officials opted to replace the back panel base plates of the system’s hardware. In addition to a significant upgrade to its system, the decision allows for future updates and capabilities to be added after the initial installation.